CURTIS MODEL C98 TUNE-UP / REBUILD KIT. Please note the pictures shown here are examples to show the contents of a tune-up kit. 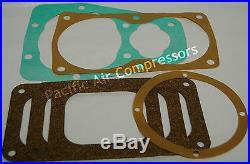 Each kit will vary slightly based on your compressor model. Lfy ordering parts for single machine repair, tune-up kits (TUKs) have been assembled to include gasket kit, shim set (if used), piston ring kit, insert bearings (unless noted), valve parts (discs, springs, gaskets, washers and lock nuts), oil seal, air filter element and unloader diaphragms or o-rings if required, to recondition one compressor. 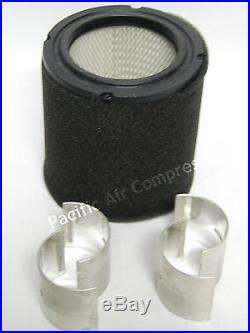 We carry motors, compressor parts, rebuilding/tune-up kits for all major brands of air compressors. 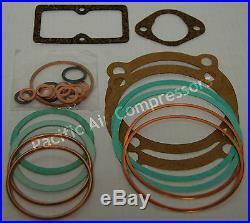 The item "CURTIS MODEL C98 TUNE UP REBUILD KIT PARTS MASTERLINE AIR COMPRESSOR" is in sale since Friday, December 20, 2013. 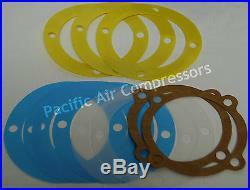 This item is in the category "Business & Industrial\Light Equipment & Tools\Air Compressor Parts & Accs\Other Air Compressor Parts".